The multiyear, multimillion-dollar program will use hockey to train one million students in science, technology, engineering and math (STEM) skills. New York, NY (September 9, 2014) – The National Hockey League Players’ Association (NHLPA) and the National Hockey League (NHL®) today announced the launch of the NHL & NHLPA Future Goals™ Program, a major North American initiative that will bring interactive education opportunities to each of the 30 NHL team markets in the United States and Canada as well as hundreds of additional communities. 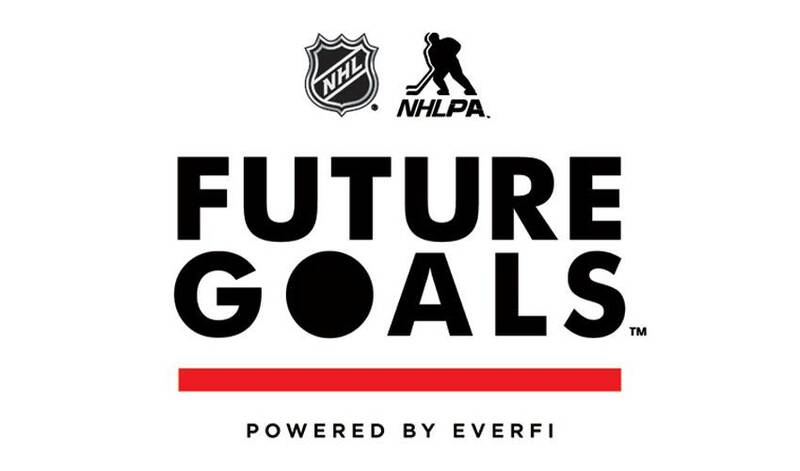 The digital learning initiative is an unprecedented partnership between a professional sports league and a players’ association, and represents one of the largest programs supported through public-private partnership to be deployed in the United States or Canada. The program is being powered by Washington, D.C.-based EverFi, the critical skills education leader that has certified more than 7 million learners. To announce the initiative, NHL Deputy Commissioner Bill Daly, NHLPA representatives Mathieu Schneider and Alex Dagg, and a host of marquee NHL players will host a launch event at Newark’s Science Park High School on Tuesday, Sept. 9.NHL players in attendance will include Toronto Maple Leafs® goalie Jonathan Bernier, Florida Panthers® forward Nick Bjugstad, Anaheim Ducks® defenseman Cam Fowler, Buffalo Sabres® forward Brian Gionta, New Jersey Devils® defenseman Andy Greene, Detroit Red Wings® defenseman Niklas Kronwall, Philadelphia Flyers® forward Wayne Simmonds, Montreal Canadiens® defenseman P.K. Subban and New York Islanders® forward John Tavares. Also joining will be U.S. Olympians Julie Chu and Meghan Duggan. More than 800 students and district officials are expected to attend the event.